Buyers who want to take advantage of all Miami has to offer, but want the resort and country club leisure and ambiance, need to look no further than Fisher Island. 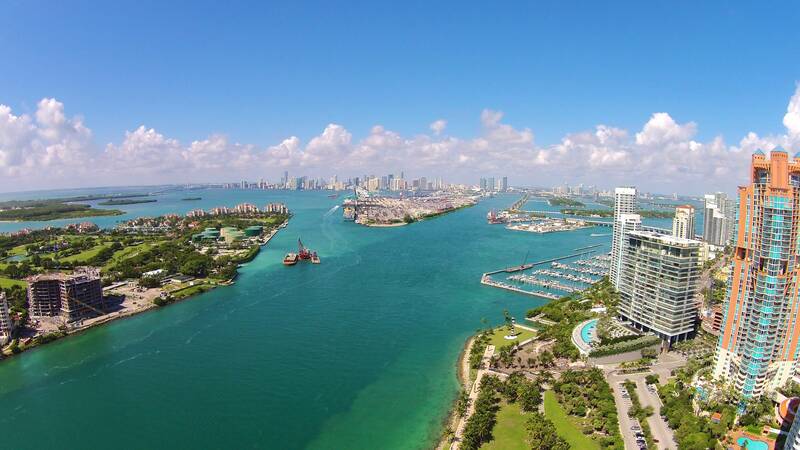 Just a ferry ride away, Fisher Island is located just south of the southernmost tip of Miami Beach. Secure, private, tranquil, and exclusive are words that come to mind when people think of the island, and for good reason. The Island was purchased by Carl Fisher, a pioneer in Miami architecture and development, in 1919 from Dana Dorsey, who was South Florida’s first African American millionaire. Although he loved the land, Fisher’s full ownership did not last long. In 1925, Fisher traded 7 acres of his land for a luxury yacht owned by William Vanderbilt II. It was in 1936 that Vanderbilt decided to build a family estate on the island, complete with a $1.5 million-dollar, Mediterranean-style house, large guest house, swimming pools and tennis courts, and lush landscaping. It truly was an island paradise. Today, the mansion is used for private events, weddings, and the guest cottages are now part of a boutique hotel on the island. After Vanderbilt passed away in 1944, the island was sold to Edward Moore of U.S. Steel, and then to Garfield Wood, who was involved with speed boats and the trucking industry. At this time, Carl Fisher still owned some of the Island. Over the years, bits and pieces of the Island changed ownership many times, and ultimately sat vacant for over 15 years until development started in the 1980’s by Island Developers Ltd. Finally, in 1987 Fisher Island opens as a private Club that is still being utilized to this day. Today, the island has many gorgeous Mediterranean-style buildings that encompass some of the most stunning apartments in Miami Beach. The newest buildings, Palazzo Del Sol and Palazzo Del Mare, are the only full-service buildings and have lively views of South Pointe Park and the best views of the ships coming and going from Government’s Cut. The Oceanside buildings are located on the sand with the peaceful sunrise and waves crashing, and the Bayview buildings have the most stunning sunset views of downtown Miami. There are also Seaside Villas, located steps from the beach, studio apartments near the Beach Club, and Bayview Apartments overlooking Virginia Key and Key Biscayne. The equity and Member’s Only club is one of the most elite in the country, and residents of Fisher Island are part of one of the wealthiest zip codes in the United States. To gain access to the Island, one must take a ferry after obtaining security clearance, and then paradise awaits. 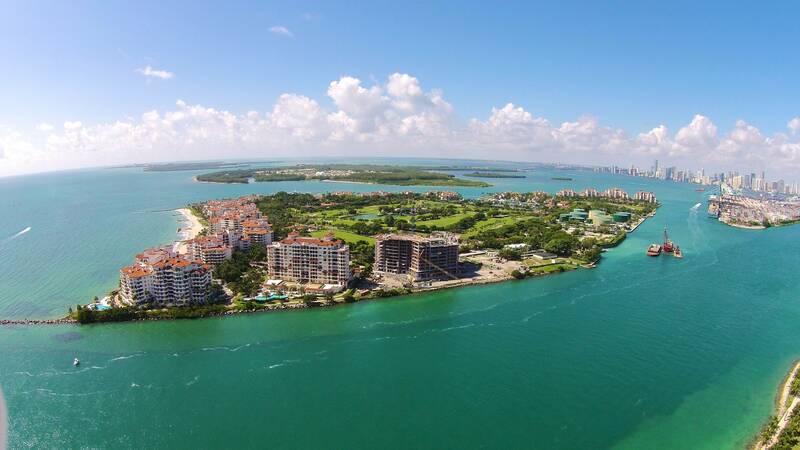 The island has a Top Ten 9-hole golf course by Ron Witten, and the course is beautifully located in the center of the island with the ocean, Mediterranean buildings, and the Miami skyline as a backdrop. The two picturesque marinas can accommodate over 100+ yachts, and up to 250 feet in length. Fisher Island Marina even hosts yacht parties and other events for members and their guests. If you’re more of a tennis aficionado, the Fisher Island world renowned tennis center is where many people spend their days. The facilities boast 18 courts with four types of surfaces: to grass, two hard, and 14 Har-Tru clay courts, two of which are European red clay courts. There is a competitive tennis community of members on the island, and management is always orchestrating tournaments and events for players. The Spa at Fisher Island is south Florida’s ultimate pampering experience. The spa offers everything from massage treatments to full body exfoliation, facials, manicure and pedicures, as well as full waxing services. The spa also has a state-of-the-art gym and wellness center, complete with updated equipment, a multitude of classes for members, and personal training. There is even a Fisher Island Day School for Early Learning at age 2 all the way to 7th grade located in the center of the island. The social aspect of the island is somewhat seasonal, but with many full-time residences, the Fisher Island Market, Beach Club, award-winning restaurants, and tiki-bar are available year-round. With 6 restaurants offering different cuisine and ambiance, you never have to leave the Island, should you choose. The island is also privy to walkers, bikers and joggers, as well as all residents having golf cart access throughout the island for their convenience. The friendly atmosphere, exclusivity and safety, and all the island has to offer is just the beginning. Many celebrities, like Oprah Winfrey, Harold Ford, Barbra Becker and Boris Becker, have owned or own homes on the island for this very reason. In addition to world-class amenities, it’s not rare to stop your golf cart to allow a peacock to cross, or slow down to see the indigenous rabbits hopping around, and iguanas sunning on the sand. The island also has an aviary with talking parrots and gorgeous pink flamingos! It is an oasis for Northeasterners in the harsh winters, and has a strong Latin-American influence, as well as Eastern European. Fisher Island is a unique and special place to call home, and buyer’s must visit to gain a full perspective of all the island has to offer. 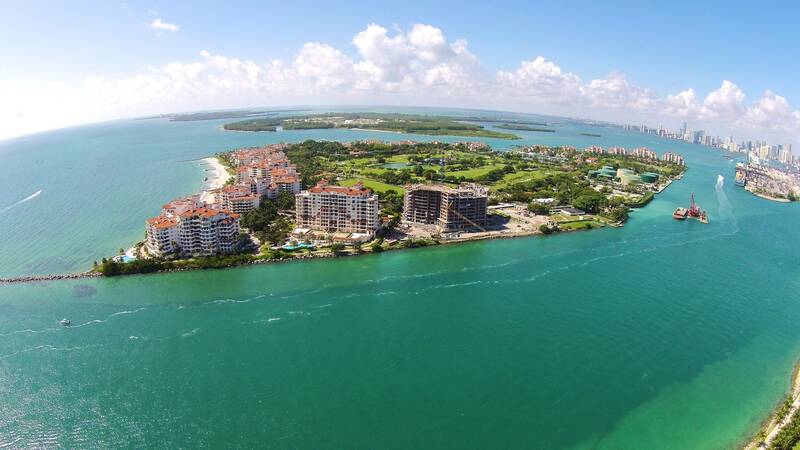 Fisher Island truly is another world in the crazy hustle and bustle of Miami, and it’s just a ferry ride away!